Your baby’s baby teeth begin arriving when they are about 6 1/2 months old. The day your baby is born, they have twenty baby teeth, ten on the top and ten on the bottom. When baby teeth break through the gums varies from child to child. The two bottom front teeth usually wiggle their way into view first by the time a baby is about six months old. Next, the four top front teeth will break through. All twenty baby teeth will emerge in pairs until your baby is 2 1/2 years old. They will lose all twenty of them. Yes, baby teeth are important and unique to your child. They support proper chewing and speaking. Baby teeth give your baby’s face its shape and form, and they have a specific job to do. They ‘hold space’ in the jaw to prepare for adult teeth. Your child should lose their first tooth around 6 1/2 years of age. It is common for children to lose a first tooth after they have turned five years old but before they turn seven. This is on the average. By age twelve or thirteen, your child will lose all twenty of their baby teeth. Because they will lose all twenty over the course of many years, it is important to take good care of the baby teeth. Including four wisdom teeth, thirty-two permanent teeth will replace your child’s twenty baby teeth! Each time your child loses a baby tooth, a permanent tooth will erupt in its place. Wisdom teeth usually arrive when your child is in their late teens or early twenties. Are molars included in the twenty baby teeth at birth? Yes and no. 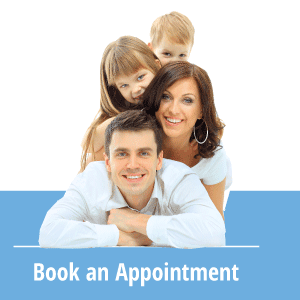 Your child will have three sets of molars: 6-year molars, 12-year molars and wisdom teeth. 6-year molars usually arrive on scene around age 6. 12-year molars, as you guessed, generally make an appearance around age 12. If your child’s wisdom teeth are going to come in (some don’t), they usually erupt between the ages of 15 to 25. More often than not, there is not enough room in a child’s mouth for wisdom teeth to erupt. They are almost always extracted. The following chart, provided by webmd.com, shows when your child’s baby teeth (also called primary or deciduous teeth) should emerge and fall out. Eruption times vary from child to child. Do you have more questions about the arrivals and departures of baby teeth? If so, give Sherwood Dental a call at (780) 464-4166 or email sherwooddental@shaw.ca. We know about teeth.